Crossword Quiz Daily Answers.Hello folks! 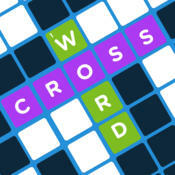 Below you will be able to find all Crossword Quiz Daily Answers. This game is developed by Conversion, llc which are also famous for other games like Guess The Emoji.The Crossword Quiz Daily Quiz is a new release from the developers which will keep you focused on the game.